Deb Hall was helpful and extremely patient in helping us purchase our new home. She was a wonderful advocate for us and all of her effort was greatly appreciated. recommend them to all our friends and family. Deborah did a great job from start to finish making the sales process very efficient and effective. We chose Deb based on her extensive real estate experience, knowledge of the local market, and strong marketing campaign. We also appreciated her prompt responses and consultative approach on how best to market our property. Deb did a great job managing the sales and closing processes. Keeping us updated while managing the details with minimal effort on our part. I would highly recommend her to anyone looking to buy or sale a home in the Woodlands area market. purchasing my home in The Woodlands easy and a great experience. guide us through our buying experience. to locate and put an offer to a house in just 3 days, during our first home hunting trip to Houston! Mrs. Hall and Susan were exceptional. My experience was so much better than I expected. I had not worked with Mrs. Hall before, so I only had my past buying and selling experiences (and a referral from a relative) to base my knowledge upon. I've worked with a good realtor before now, but Mrs. Hall is by far the most exceptional realtor I've ever had the pleasure of working with. She anticipated my needs before I did, and I trusted her expertise at every step of the process. All of our communications were prompt, professional and polite, and thanks to her, I found a house I absolutely love. Susan, her office manager, quickly sent me everything I needed, including a list of local service providers (extremely helpful). I couldn't have asked for a better team of folks to help me get through this process. While I find buying and selling houses somewhat stressful, this home purchase was not stressful at all. Mrs. Hall was so on top of her game that I didn't feel the need to worry. A huge "thank you" to Susan. We could not have gotten the job done without her knowledge, skill and dedication. Sarah was very patient with me during the home buying process. I had a unique situation, which delay my home buying purchase but she still made time for me and treated my son and I like valuable clients. My initial home purchase very stressful and I felt jilted afterwards, however this time around was the complete opposite. Sarah, went above and beyond to help negotiate a good deal with the builder and she even helped me find boxes to pack up my things. She gets 5 Gold Stars from me. We had the opportunity to relocate back home to Ohio from the Houston area. Deb did an excellent job helping us through a complicated process. She sincerely helped us bridge our hopes with reality in the tough market facilitating the balance between time and money. She was there to promptly answer questions and truly represented our best interest at the bargaining and close table. We've already recommended Deb all those we know contemplating relocation to or from the Houston area. Thanks Deb and good luck in your futures endeavors. When our job required us to make an international move, right away, I knew that we would use Deb Hall. Her personal experience with moving internationally was an enormous emotional asset to us during a difficult time. 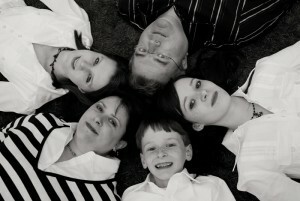 Deb was willing to be hands-on whenever possible which allowed us to give our family the extra attention they needed. Even after we left the country, Deb was there, taking care of things in our place. Deb was our friend before she was our realtor. Now, she is part of our family! We received 3 offers within a 12 hour period during a holiday weekend! Deb was out of the country on vacation and we were out of town but she negotiated a full asking price contract on our house via Blackberry, email and fax! Our experience with Deb when we sold our house to move overseas meant one less decision we had to make when we returned to the US. There was no doubt that we would use Deb to find a new home. She actually hand-picked our new house! When she showed me the paper on this house, I wasn't impressed but she was convinced I would like it. After seeing the house, I kept saying, "I can't believe how perfect it is!" In less than a month, the house was ours, thanks to Deb's great experience and instincts. When we returned to the US due to an unexpected illness in the family, we needed to get into a home as soon as possible. Temporary housing is never ideal and our family was already under a tremendous amount of pressure. Deb and her team worked diligently and we moved into our new house in under 3 weeks! Sarah is a friend whom I know well as being dedicated, persistent and extremely professional. Sarah was always coming up with new ideas and re-evaluating changing market conditions. We felt that she fought very hard to protect our interests. She went above and beyond. Deb had a photographer take great pictures, put our house on the market, and we had bids the first week. She made the selling process as easy and quick as possible, and she patiently answered the million questions I asked (seemingly every day). After selling, we had quite a bit of trouble finding a house that was right for us. We looked for two months before we found something that fit our needs. Debbie always made time to go see new homes on the market, even if we knew they probably wouldn’t work. She gave us professional (and friendly) advice and dealt calmly with the contrasting opinions of my wife and myself. We ended up getting a great buy in a great neighborhood. We would never choose anyone else to be our realtor. We moved here from Kansas City in March 2008 with our two school-age children. We knew this would be a long-term move, so schools and location were very important to us. Deb provided us with a plethora of information and is extremely knowledgeable about the entire Woodlands community. She is smart, professional, and very friendly. Not only did we find a realtor, but also a friend. My father-in-law recently moved to The Woodlands from out-of-state and Deb found him a great home as well. We would recommend Deb Hall to anyone who is looking to buy or sell a home. Deb was knowledgeable, energetic and enthusiastically willing to go the distance (miles and miles of territory) with us -and- she graciously spent the needed time (several weeks and weekends) to find the perfect home for my family! We couldn't be more happier about the home buying experience and at peace with our home. Deborah was terrific to work with. I was overseas when I started the home search process. Deborah was very helpful and attentive - answered mail quickly and thoroughly. My wife had VISA issues - so Deborah had to show me around when I was not working - she was always helpful and professional. After looking at over 100 homes - I finally found a fantastic home - very happy with the help and service provided by Deborah. I consider her a friend - and would definitely recommend her to anyone seeking help finding a home. She was especially helpful considering the VISA issues with my wife - really appreciate all her efforts. Sarah is very meticulous, responsible and helpful person. She knew The Woodlands neighborhood very well and gave us good suggestions, advice and guidance. She even patiently answered all questions and doubts. It was first home buying experience for my wife and I. Many friends and colleagues had told us that home buying is a stressful process. But with Sara the experience was pleasant. We would definitely recommend her services to anyone looking to buy a house. Deb, Susan, and the rest of their staff were outstanding in every aspect of our home's sale. They were always available and provided prompt responses on every single issue or question posed. They were always one step ahead in every facet of the listing and final sale of our home... I would recommend them to anyone looking to sell or buy a home in the area!! Nothing but great things to say about Deb. We were very happy with her knowledge, organization, and patience. We developed a great rapport that helped us land the right house. I would highly recommend her to anyone. Deb was amazing and took such great care of us, we enjoyed working with her and have gained a new friend through the process. Deb was very patient with us. We were a little difficult but she was GREAT!!! The entire sales experience with Deb was perfect and professional. We highly recommend her to anyone we know who is selling their house. She is a great friend as well as a great realtor. Deborah Hall is professional and dedicated to her clients. Deb Hall was Awesome to work with in assisting me with finding my new home. She is the only realtor that provided a comprehensive compilation of listings, pictures, mapped area in a spiral book form. I highly recommend Deb. She is personable, reliable, and works diligently for her client. I appreciated her efforts in helping me find the right home. Very knowledgeable about the area and the market. Process was seamless and easy. Kept us informed about changes in available houses on the market. A real great help! Since we live overseas, Deborah was very helpful in finding someone to act for us as our power of attorney. Helped us realize what the market was doing and what a realistic price would be for selling. She did a great job. GREAT could not have been better in any aspect. Very professional, courteous, very knowledgeable and hard working. Deb Hall was very helpful and gave personal attention to every detail. We were very pleased with Deb Hall and her team. They were extremely professional and efficient! We still cannot believe our home sold in a day. We especially appreciated the help with staging. We also were amazed with the photographer who produced excellent pictures for the website and brochure! Thank you again for a job well done!!! I have recommended Deb Hall to several others, who were equally pleases and have no hesitation in continuing to do so. I am so very thankful to have met Deb Hall several years ago. She is an incredibly energetic professional whose expertise has been so very valuable in selling our home. We appreciate and recommend her highly. Thank you, Deb! I would highly recommend Deb Hall. I met her at an open house and she impressed me so much I decided she would be the best person to help me find my new home. We looked at more homes than I care to remember and she was always able to rethink what she showed me as I adjusted my home needs/wants daily. I don’t think I would have found my beautiful new home without her. She is definitely one that will work hard for her clients. Deb's help and guidance throughout the process has been invaluable. We couldn't be happier. Simply said, my experience with Deborah Hall and Sarah Beutelschies was the very best I have ever had. I cannot sing their praises enough. From start to finish their level of professionalism was impeccable. They will certainly be my Realtor's for life. Deb was great, she kept us informed, had great insights to the market and really listened to our requests. I would recommend her without exception. Deb has handled one purchase and two leases for us and has done a wonderful job. We would gladly use her services again in the future. Deborah Hall is the best realtor I have ever worked with. I would recommend her to anyone interested in selling or buying a home. Deb Hall was and is the best realtor that we have worked with in over 30 years of home buying. She was efficient and understood the market well. She was always friendly and helpful. I would recommend her to anyone. We were under major time constraints when looking for a house so, on our first "shopping" day; I tried to remove one house from the shopping list because, on paper, it just didn't seem to meet all of our criteria. Debbie thought I would like the house so, since she is the pro, we went to see it. When we walked in the door, it was one of those perfect moments when you know, this is it. It seems my Realtor knew what I wanted better than I did! We LOVE our new home! Deborah Hall made our moving experience a very positive and smooth transition with her knowledge and insight of the business! We would strongly recommend her for anyone! Deb Hall is the consummate professional when it comes to real estate in The Woodlands. She understands this area like no other realtor we've worked with. We would recommend her to any of our family or friends & would not hesitate to use her services in the future. Her staff is very helpful & personable. An all-around great experience! Awesome realtor! I will highly recommend to my friends and family. Considering my past experiences with realtors, Deborah Hall is a shining beacon for what a realtor can be and can do to make a home sale a positive experience. She is professional, knowledgeable, effective, caring and considerate. From listing to closing, I knew I was in very capable hands, esp since I moved from TX to PA before closing. I cannot express my gratitude enough for all of the extra help so graciously given by her and her staff. Deborah Hall is the only realtor I would use in the Woodlands or Houston area. We have complete trust in her recommendations. This home was listed the previous year, with a realtor that was insufficient. Deborah Hall was attentive, available, understanding, and went WAY beyond the extra mile that was required to get this home sold in a difficult market. We are extremely grateful for everything she did to assist us. 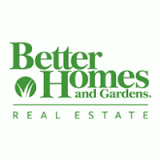 Deborah Hall and her staff was very helpful and informative on selling our home! I will be recommending Deborah Hall to all our friends thinking of buying or selling a home! My husband and I felt very well taken care of by Deborah Hall and her associate, Sarah Beutelschies. I would recommend them to anyone. Our experience with Deborah Hall was the most positive experience we have ever had in any of our MANY real estate sales. Her market research and marketing products were extremely impressive. I will never use or trust anyone else to list my home when I'm ready to sell (which knowing me will be very soon). Deborah worked very hard for us. She is an excellent realtor. She made us feel like family and we are grateful that we used her services. We are referring her to others. Deb made us feel as we were her only clients. She is professional and personable. She really takes the time to get to know her clients. She will be our realtor for life. Deborah's knowledge of the market was spot on. She helped us price our home perfect for the market. Her marketing skills are wonderful. She made selling our house a pleasant experience. She was a pleasure to work with. Deb Hall was also very knowledgeable of the relocation process which helped me immensely. Deb Hall and Susan Edwards are extremely accessible and organized. They took a lot of pressure off of me during the sale of my parents' home. It's a pleasure to do business with people who really know what they are doing and make it easy on you. We have known Deb Hall for many years and this is the second time that we have used Deb for a real estate transaction. She did a great job for us both times. She took the time to understand our needs and found properties that met our criteria. Deb made herself available on short notice to meet our timing needs. Deb was professional , knowledgeable and friendly from the initial showing through the close of escrow. We would not hesitate to recommend Deb to friends or family needing a real estate agent.